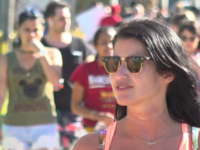 Several spring break revelers got a little unruly in Miami Beach this weekend after the group of mostly women began smacking and punching each other in the middle of the street, according to a shocking video making the rounds on social media. 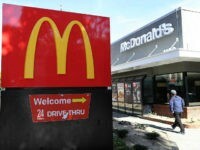 A group of teenage girls started a violent brawl at a Los Angeles, California, McDonald’s after a mother asked them to leave the children’s play area, police said. 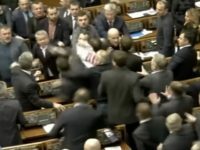 Ukrainian lawmakers broke into a massive brawl Thursday during a parliamentary session, continuing a long-held tradition of trading punches over the issues of the day. 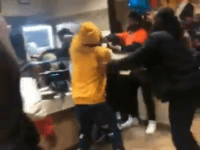 Customers and employees brawled inside a Louisiana McDonalds, throwing punches in several different directions, according to a video posted Friday. 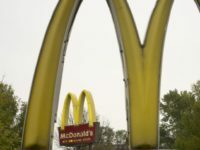 A California woman was caught on camera beating and choking a McDonald’s manager because she was upset upon discovering that her order did not have enough ketchup, police said. 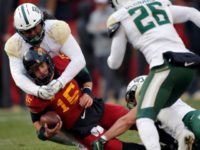 The Iowa State and Baylor game on Saturday featured a lot of action. 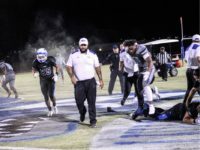 The game had scoring, it had big plays, it had controversy, and it had a superman punch. 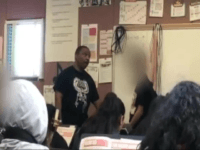 A high school band teacher was arrested Friday for allegedly brawling with a student during class, according to a video of the incident. 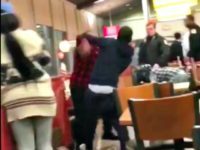 A massive brawl broke out in a Baltimore McDonalds on Friday evening, causing chaos as customers threw punches and smashed the counter, according to a video. 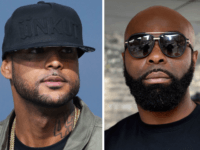 Thirteen people were arrested at Paris’s Orly airport following a mass brawl between rival French rappers which forced the authorities to shut down an entire terminal. 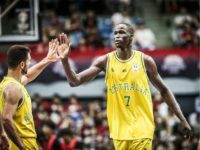 Things got ugly at the FIBA World Cup qualifier between Australia and the Philippines. Australia was blowing the Philippines out 79-48, in the third quarter when Philippines player June Mar Fajardo threw an elbow, sparking the two teams, and some fans, to fight. 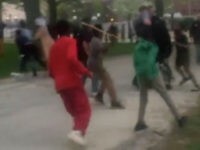 More than a dozen women brutally fought at San Francisco’s Pride Festival on Sunday over a dispute about a singer’s performance. 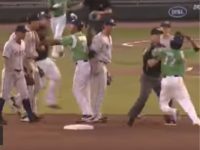 A brawl between a large group of young Somali men armed with bricks, bats, and other weapons left one local man hospitalized in Lewiston, Maine, this week. 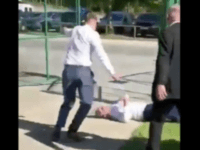 A massive brawl at a Sussex racetrack in which a man was kicked unconscious was caught on video. 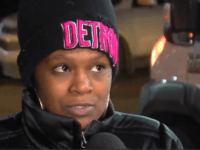 A fight broke out among 15 people at a New Jersey restaurant, causing many diners to flee and leave behind their unfinished meals. 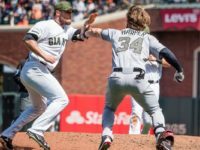 Twenty customers of a pizza parlor in California broke out into a brawl over a missing iPhone that was in the lost and found the entire time. 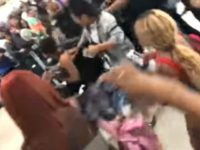 A shocking video reveals a toddler caught in a massive brawl inside a Florida shopping mall when his mother pushed his stroller into the middle of a fight so she could use the device as a brace to kick an opponent. 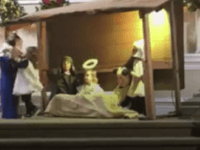 Preschoolers broke out into an all-out brawl over Baby Jesus during a Christmas pageant for a Tennessee church—and it may just be the cutest Christmas pageant brawl ever. 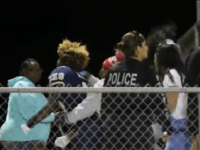 A southern California high school canceled their football game Friday night after a brawl broke out in the stands before the start of the game. 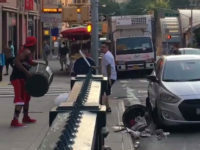 A machete-wielding man squared off with a man carrying a trash can in a bloody New York City brawl Wednesday morning, according to a video posted to Twitter. 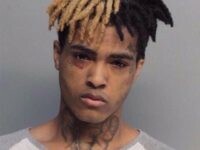 A massive brawl broke out at a San Diego, California concert early Thursday morning after rapper XXXTentacion was punched and knocked unconscious by an audience member who rushed the stage. 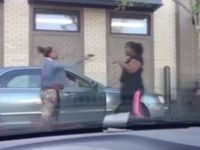 A teacher and a staff member brawled with each other in front of students at a Georgia middle school, according to video footage of the incident. 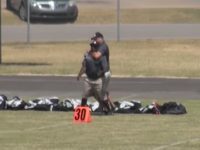 Passengers at a Florida airport broke out into a brawl after Spirit Airlines canceled nine flights due to issues with the airline’s pilots’ union. 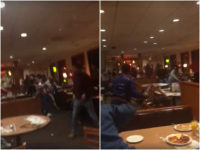 A video of an all-out brawl that erupted at an upstate New York Denny’s restaurant Saturday gained more than 4.5 million views on Facebook, according to a Facebook video of the incident.